We are one of the largest and most active diving clubs in the UK and welcome both new trainees and existing qualified divers. 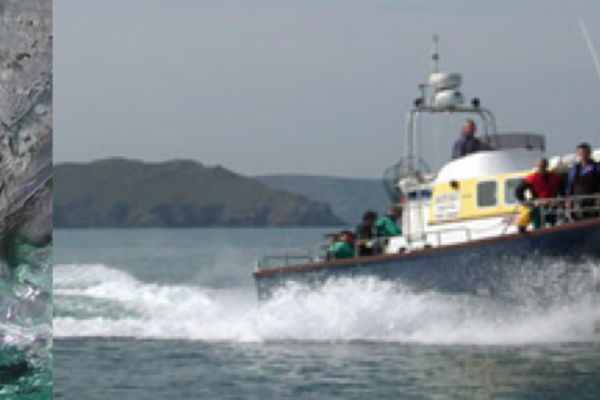 We have been featured on the BBC and ITV and have our own clubhouse, two boats and on-site compressor as well as a wealth of new training equipment and expedition gear we are your one-stop shop for diving adventures whether they be Recreational or Technical Diving. We have also won numerous awards which recognise how active and vibrant the club is. You can find out more about the club here. The club is run very professionally and has amazing facilities, including its own clubhouse, it is run entirely by volunteers with a love for the sport. This means the cost of trips and of our training is very low (in fact our instructors don’t charge anything for their time and our trips are run at cost only). You will need to join our branch to access these facilities and we hope that you will find the club both friendly and enjoyable. You can find more details about joining on our Membership Page. All of our members get a weekly newsletter keeping them informed of upcoming trips and socials, as well as trip and event reports and goings on from around the club. This keeps everyone engaged with what’s on in the club. You can read an example of one of our newsletters here and an archive of a lot of newsletters from recent years here. In the sections below you will find links to information for training for people new to the sport, existing qualified divers, Snorkeling and also details of our trips and recent awards. We recently completed a really exciting project, for which we have won two awards. You can read more below. 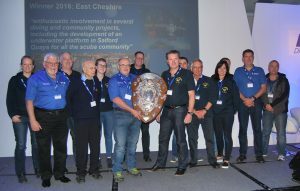 Scuba divers from East Cheshire Sub-Aqua Club joined forces with the Royal Navy, a number of commercial organisations and a number of other BSAC Clubs on a mission to raise a WW2 Highball Bouncing Bomb from a Scottish Loch in time for the 75th anniversary of the historic dambusters raid. In July of 2017 the team successfully lifted two of these historic bombs and have now donated both bombs to UK museums. Full details are on our Project Highball Page. We have produced a short documentary on the expedition which you can watch on Youtube. There are also more details of the dive trail we created as well downloadable copies of the sidescan and bathymetric survey data that was collected as part of the expedition. 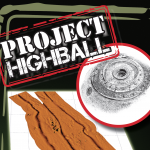 For more information visit our Project Highball Page. We welcomed BBC Breakfast’s Mike Bushell to ECSAC, you can read more here and see the photos. You can also watch the full feature (that went out on BBC Breakfast) via the link to the YouTube video below. The video above was released in December 2017. Hence the “Qualify by next Spring” banner, training can usually be completed in as little as 7 weeks if you are very keen and we start courses very regularly! If you have always wanted to learn to dive or you are simply curious about scuba, then a Try Dive with East Cheshire Sub-Aqua Club is the perfect introduction. Click here for more information. Scuba diving is a thrilling experience whether in the UK or overseas. At East Cheshire Sub-Aqua Club we provide a structured training programme enabling you to dive safely and confidently anywhere in the world. To help give you a taster of what it is all about, without any commitment, we offer try dives to anyone 12 or over for only £20, with a free drink and a guided tour of our club afterwards. For more information about learning to dive then click here. Why not give a Try Dive as a present? Why not give a friend, colleague or a relative an amazing experience. You can buy a try-dive pack from us that comes with a magazine, a DVD and a voucher that can be exchanged for the try dive. Once the try dive is complete the participant will receive a certificate and the voucher also entitles the holder to a tour of our club and a free drink at our bar. A try dive scuba experience would make a great retirement present, 18th, 21st, 30th or any other birthday present or just as a great experience. 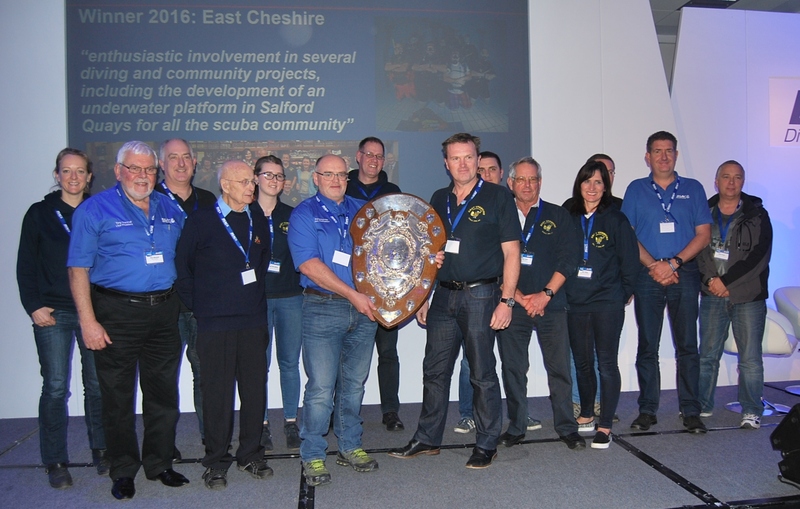 Whether you are newly qualified or an experienced diver from BSAC, PADI or another scheme, then East Cheshire Sub Aqua Club has a range of fantastic facilities and a varied dive programme to cater for everyone. When transferring from another scheme you go through a short crossover session so we can understand your skill level and help plan any further training if needed. More details about what we can offer are available on this page and some photos from recent trips are events are also available here. We can also help you run expeditions or projects or to dive sites that you may be interested in, why not pop into the club for a chat and have a look around the club at what we can offer. This section of the club exists to teach young and old how to safely enjoy the sport of snorkelling, and to introduce you to the fantastic world under the sea. 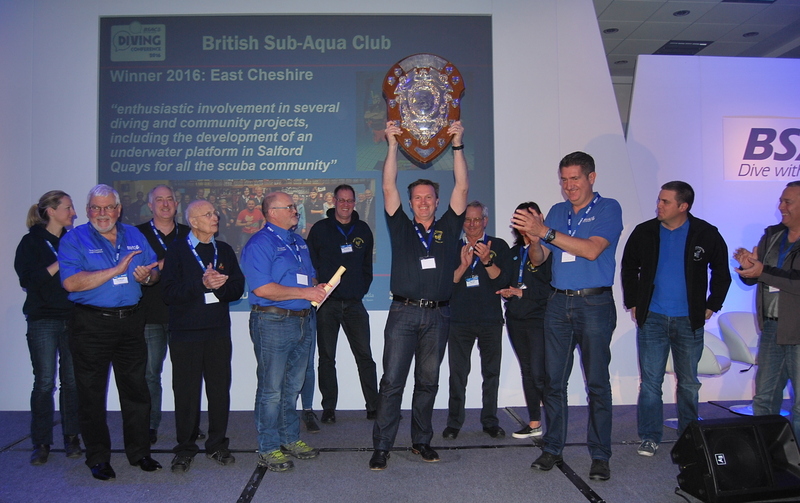 We have won the BSAC Snorkel Club of the year award so click here for more information about this award winning part of our club. On this page you can find out what’s going on, information to help plan and run your dives, details of our socials, how to join our facebook page and googlegroups email list and lots of other useful pieces of information. 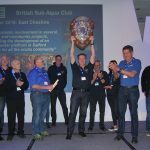 The Heinke Trophy is awarded each year by BSAC to the club which has done the most to further the interests of its members and BSAC. ECSAC are very proud to have won this award! It was ECSAC’s strong track-record of community events that caught the judges’ attention, making the club the 54th winner of the trophy since it was launched back in 1958. The club have won a number of awards. Take a look at our Awards Page for details. See us in operation, watch the club video below and you will get a feel for what we do and get to see the clubhouse. If you would like to find out more then please get in touch [email protected] or call 07896 625215 for an immediate response.